EB Advance Matic Lipstick in High Heels Review and Swatch | Top Beauty Blog in the Philippines covering Makeup Reviews, Swatches, Skincare and More! 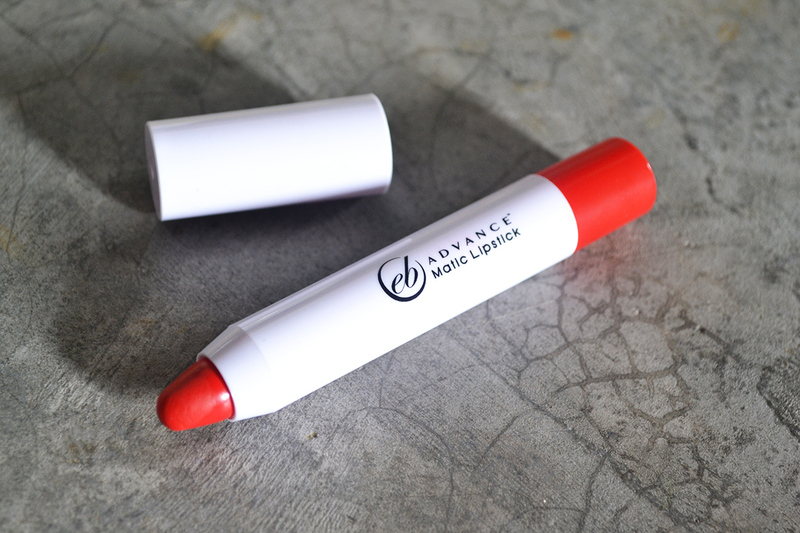 The EB Advance Matic Lipstick come in a twist-up, large pencil format that makes it fairly easy to get precise edges and even coverage. The quality of this product is absolutely great – very pigmented, creamy and comfortable to wear. It also feels very hydrating and once the color fades, it fades beautifully and leaves a nice stain on your lips. This product lasted for about 4 hours on my lips. The only thing I don't like about this product is that I find its sweet candy-like scent too strong but nonetheless – still a really great and affordable product which I highly recommend. Disclosure: A sample of this product was given to me for editorial purposes, either directly from the manufacturer or from the agency that works on behalf of the manufacturer. All reviews on this blog are the honest opinion of its author and editorial samples do not, in any way, affect the outcome of product reviews. fabulous color for spring and summer! Amazing shade of red, so eye-catching!!! beautiful colour, I like it! wow this colour looks so attractive. Sounds like something I would really love to try. 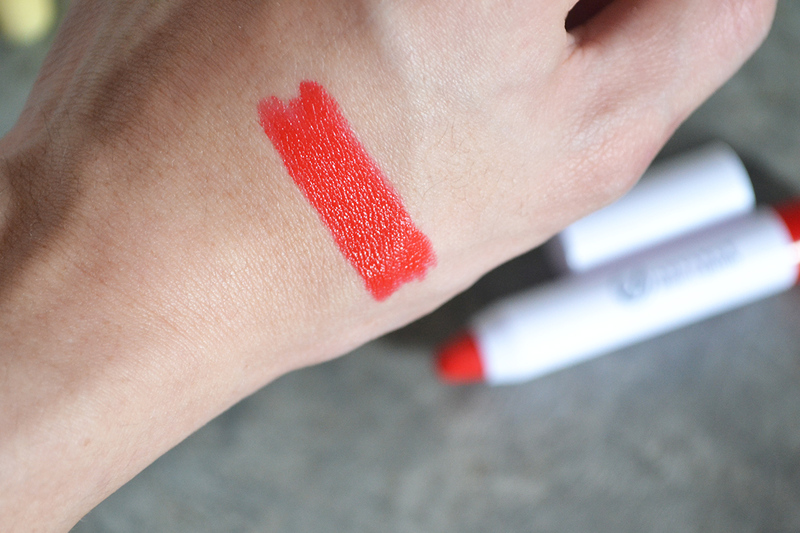 this is a really pretty color for someone that wants vivid lips! Such a stunning color. Like the information you shared about this product. Perfect color, I love bright colored lipsticks! Only 180?! Interesting!!! I love how Ever Bilena's keeping up with trends, and they're doing good! Do they have liquid lipsticks na kaya? I can understand why the sweet-scent would put you off a little, though the colour is undeniably strong and gorgeous! The liptstick colour is simply fantastic! I need this, the color is amazing !!! Nice colour and pigmentation. It also looks quite hydrating, so I suppose it would be forgiving to some winter lips ;). But that scent doesn't sound good to me either. il colore è davvero bello! That color looks so vibrant!